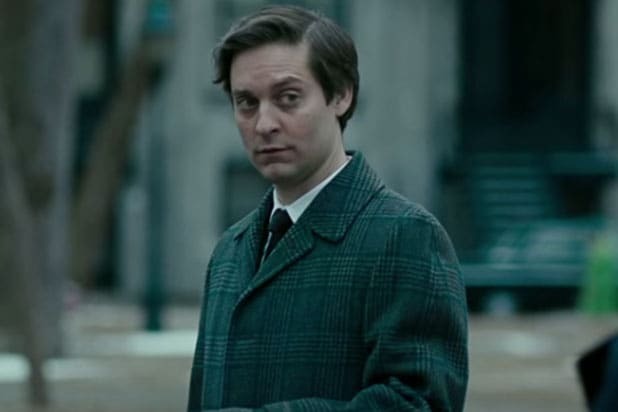 The film, which hits theaters Wednesday via Bleecker Street, is the first on which Maguire is credited as an official producer, not that he’s keeping track. “I’d have to look it up on IMDb or something but I think you’re correct,” he assures me. He spent more than a decade developing the project, which at one point had David Fincher interested in directing. Maguire has a grizzled beard and bright blue eyes that remind you he’s a movie star. Surprisingly, he has never been nominated for an Academy Award despite an impressive career that includes “The Ice Storm,” “The Cider House Rules,” “Seabiscuit,” “The Good German” and “Brothers,” the latter of which earned him a Golden Globe nomination. How do you make an inherently mental game like chess interesting for an audience to watch? 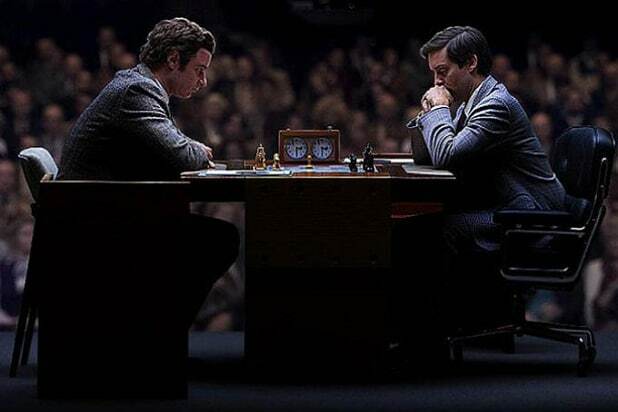 I saw his moves light up above the board, but how do you make decision-making entertaining? That is a question that Ed [Zwick] and I would sit around and talk about. That was a particular challenge. You’re not really watching chess in the sense of like, you know, exactly what is happening with the game and you know the consequences of this move versus that move. You’d have to teach people how to move the pieces and the memorization and the strategy and the theory and all of that, so really it’s more about the characters and what it meant to the characters. Hopefully, you’re engaged with them in that sense, so you know what it means if they make an error, or self-sabotage in Bobby’s case, or turn it around. You understand the feeling of that, and then we give whatever little information that you need at that time. There’s a moment when Bobby beats Boris Spassky [Liev Schreiber] at the world championship in Reykjavik, Iceland, and he looks totally lost. He was constantly seeking new challenges, and then when he gets to the top of the mountain, do you think he feels like there’s nothing left for him and his life is now without purpose? Those are the choices we made and that’s what I wanted to do. I thought his focus was pretty singular on being the best chess player in the world and then secondarily, proving he was the best chess player in the world by winning the world championship. If you look at what happened after he won the world championship, he got more and more reclusive, more and more paranoid, and the mental health problems seemed to really grow for Bobby. Before that, he was preoccupied with studying to be the best player in the world for 14 hours a day for years. If you go accomplish your goals, well, then what happens? Now I’m not saying Bobby would have the same perception of his state of mental health and his fragility. In some ways, chess allowed that problem to grow, but in other ways, it kind of pushed off the consequences. I think Bobby was afraid to lose because he worked so hard to be the best. He didn’t want to lose because he was really competitive, but he was also afraid to win because then he’d have nothing else. Do you think Bobby was mentally ill or was he just an eccentric? As far as the way we define mental illness, and what most of society would agree on, I think Bobby would qualify as someone who was mentally ill. When you’re talking about mental illness as something where there’s a clear line, where if you step over the line you’re mentally ill and if you don’t step over the line you’re not mentally ill, I’m not so sure that that’s how it works. There’s a spectrum and ultimately you’re talking about behavior clusters that then lead to a diagnosis and that is also subjective based on your determination of that behavior. If somebody’s demonstrating severe paranoid behavior — of course, it gets complicated if they actually are being watched and surveilled, then part of that paranoia is evidence-based and ultimately true — but all of that aside, Bobby was pretty extreme in his delusions and his paranoia. Why did you decide to relegate the latter half of Bobby’s life to the onscreen text at the end of the film, rather than explore that very public breakdown? At the beginning when I learned a decent amount about Bobby Fischer, I wanted to make a movie that is roughly the structure that you see. I wanted to land in his early life and learn a little about him and show his growing passion and accelerated rise early on, and then I wanted to land into a sports movie culminating with the world championship in Reykjavik, and I wanted to make a character study within that framework. So Fischer’s anti-Semitism just wasn’t part of the story you wanted to tell here? What I’ll say is, we wanted to touch on this complicated person who basically does end up going on these anti-Semitic and anti-American rants, but do I want to watch a guy sitting on Thai radio for three hours at a time and just talking in circles? That was not my interest, and actually if you just did that movie, you’re not seeing… Part of what’s fascinating is that this guy was so brilliant at a thing that’s all about a reasoning mind. He was an exceptionally skilled chess player who was so off-base in life. It’s strange and fascinating. Will there be another American chess prodigy like Bobby Fischer? And would America actually pay attention, or was the context of the Cold War essential to Bobby’s fame? It may not be a chess player, but someone will come along who will capture our attention to that degree at some point. Bobby Fischer was a part of this popular culture where the heroes of the day, like the musicians or activists who were also artists, were speaking out about the way things were done. Counterculture heroes were gaining popularity and Bobby was part of that trend. He was also genuinely difficult, which I think is fascinating, and then he became this symbolic warrior, an intellectual warrior, in this war of ideas vs. Russia during the Cold War. The culmination of all of those things is hard to repeat, but it’s interesting that we’re on the edge of our seats watching a chess match get played out. I really liked Bobby’s handlers, played by Peter Sarsgaard and Michael Stuhlbarg. Do you think Bobby would’ve gone off the rails without a Father Bill figure there, or Paul Marshall? Bobby was off the rails. Bobby basically moved in whatever direction he wanted to move in and people were just trying to keep up with him. You think, Bobby isn’t going to Reykjavik during the schedule that he was meant to go, and you’ve got people around him who would like to urge him to go, but they also know you can’t come directly at Bobby and try to impose your will on him. That’s just not how it worked. Bobby was very much in control and would tell you what he wanted you to do in a negotiation: “I want this thing to happen and that thing to happen.” And the truth is, as difficult as he was — and he was very controlling and difficult — he made a lot of headway in those negotiations for himself and other chess players. A lot of chess players were used to bad conditions and accepted that, but Bobby didn’t accept it. He was dissatisfied and wanted to change things. In a way, it takes somebody who has that temperament in order to change the conditions. He’s not arrogant about it and he’s sort of like a petulant angry child, but if you look at his value versus what he was getting paid, there’s a pretty big discrepancy there as well, and he understood that. So you’re the most famous man in the world, but you’re getting paid not that much money and all these people are tuning in, and there’s license fees for TV and there’s a gate fee, and you’re the draw. If you understand that and understand that nothing’s going to happen without you, then you’re in a pretty strong position. Now, he wasn’t classy about it. You could just say, “This is what I want and I’m not going to do it unless I get this, and that’s my negotiating position and I’m saying that respectfully, and you can choose not to do it, but that’s what it takes.” But he wasn’t reasonable and I don’t think he knew how to be. Why did you guys decide to sell the film to Bleecker Street at Toronto last year? Well, I really like their team and we had some conversations with [CEO] Andrew Karpen, and they just seemed like they got it and were passionate about it. They also have a good history, because it’s the old Focus [Features] team. It’s a new brand and a new company but they’re very experienced. Would you ever consider a return to the comic book movie genre, perhaps as a villain? I’d consider anything if it’s interesting to me and the right people are involved — people I want to work with and a character I want to play. I don’t have anything against any genre. 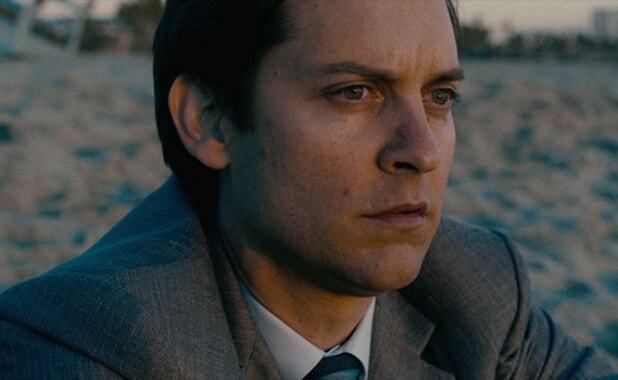 Watch the “Pawn Sacrifice” trailer below. Jeff Sneider is a 2006 graduate of New York University's Tisch School of the Arts. An aspiring screenwriter, he holds a BFA in Dramatic Writing. He started his career writing film reviews on Ain't It Cool News, and continues to contribute reviews to the Colorado Springs Independent. Jeff spent two years as a writer/editor for Variety, and has also written for Hollywood Life, the MTV Movies Blog, Thompson on Hollywood and Examiner.com. In September 2006, Jeff was knocked out by director Uwe Boll in a boxing match/publicity stunt that has since become a footnote in pop culture history. He has appeared in Michael Addis' documentary “Heckler” and on HBO's “Entourage,” and is proud to have briefly worked as a production assistant on “The Departed.” He enjoys playing basketball and volleyball and his favorite movie is “Pulp Fiction.” Jeff maintains a personal awards season blog, TheInSneider (www.theinsneider.blogspot.com).